People sometime think that when they have dentures, they will have no security and could be faced with an embarrassing situation of their teeth falling out in public. The best dentures should stop this happening. Why don’t my dentures fit better? Often it can seem that your dentures haven’t been made to fit your mouth. Sometimes they can be poorly adapted to begin with. It can be difficult to transfer the information about your mouth from your dentist to the dental technician who actually constructs your dentures. As less people wear dentures is becoming more difficult to find an experienced team. Even then they will probably work in isolation many miles away. Over time your mouth will change shape and this will make the dentures physically less secure. How to get the best fitting dentures. If the same person that sees you in the surgery also constructs your new teeth then they can incorporate all the information about you and your mouth into new dentures. Such a person is a Clinical Dental Technician. 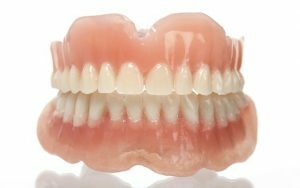 They can harness the latest clinical techniques and technical advances to get the best dentures with excellent suction and grip to hold your dentures in place. It is usually possible to further improve the grip of removable dentures by clipping them onto 2 or more dental implants. You can still remove the denture easily for cleaning and maintenance. For the ultimate in fixation your replacement teeth can be screwed onto implants. With all these options it is really important to have your dentures and mouth checked at least once a year. As your mouth changes shape it is important to adjust your dentures to keep them tight. This also helps to ensure that you don’t develop pressure related ulcers. As fixed teeth can only be removed by your dentist or clinical dental technician it is also imperative to have them professionally checked at least annually and see a hygienist regularly.